Gladys Mack is a gift box company with a difference. Their beautifully crafted gift boxes and hampers respond to all of life's occasions, and all the products are ethically sourced. Through personalising the gift box experience, Gladys Mack gift boxes help enhance relationships and create momentous memories that clients, colleagues and friends will really respond to. 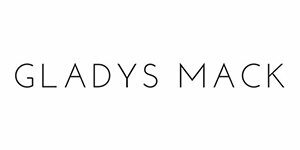 Sourcing products from like-minded makers, and utilising organic, handmade and natural products, Gladys Mack gift boxes a step beyond the corporate norm, and can be tailored to perfectly represent your and your business’s values. They're ideal as gifts to clients and prospects if you're a business owner, and for associations they make for great prizes to give away at conferences and major events. Access1st partner associations and their members can access generous discounts on Gladys Mack gift boxes. Find out full details behind your association or client log-in. You can visit the Gladys Mack website here.